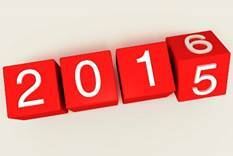 Very soon 2015 will be our past; a new year is knocking on our doors. We are proudly looking back on this past year, with as a highlight the Antwerp Conference. It was so good to see so many of the prison education professionals together in such a stimulating environment. 2015 was also the year in which met Erasmus+, a programme that we will hopefully get to know as well as its older brother Grundtvig. We have welcomed many new members, which brings us to a total of a little more than 600 members. It is heart-warming to see that in this period of economic stress, we can still find each other to learn from experience elsewhere!! A new year is to start, with new challenges, lots of ideas to be considered, plans to become reality, projects to start, new members to meet, new connections to be made. We are working on some interesting and challenging steps to bring the EPEA to be a 2016-organisation. You have seen the first big step with the launch of the new website. We also presented our long-term strategy plan, we have started a series of webinars and we will soon introduce our first magazine edited by Barlinnie prisoners and our further plans. You are warmly invited to join us in any way you can and share your reactions, comments or suggestions, for us to take into consideration. The EPEA Steering Committee wishes you all a very interactive 2016.